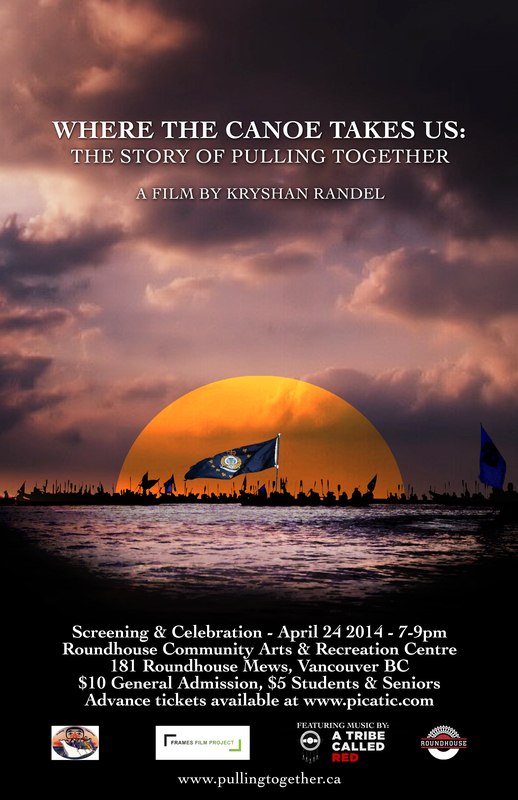 Pulling Together Canoe Society & Frames Film Project are excited to advise that a film by Kryshan Randel – “Where The Canoe Takes Us: The Story of Pulling Together” is available to view on-line. Where the Canoe Takes Us: The Story of Pulling Together spotlights the 2013 journey for which over four hundred participants faced one of their most challenging and rewarding voyages yet. Music by Aaron Grain and A Tribe Called Red. How fabulous… I will make every effort to be present and take images sometime this summer. Where can I watch this as I didn’t manage to see it when it was played at Tseycum during PT 2014?